Come to Alfano Motorcars Mercedes-Benz, where we treat all of our clients like guests and not just another number. Charlie Alfano is our owner, and he has over 25 years of experience in the industry. He began selling cars in San Luis Obispo back in 2012, and even in that relatively short time, he has earned a reputation for providing friendly and prompt service to his customers. We are truly a family owned store, and the owner is here every day. Every staff member, including Charlie Alfano, is ready to help you in any way possible to ensure that you have an ideal car shopping experience. Mercedes-Benz vehicles are not like other vehicles. Sure, they have four wheels and an engine, but with Mercedes-Benz, everything was built with the end user in mind. These are precision machines, and by spending just a few moments with one of our cars, you will be able to tell the difference. Whether it’s the German craftsmanship, the refined luxury, or the superior performance, a Mercedes-Benz is just a cut above the rest. In San Luis Obispo, we have a wide variety of Mercedes-Benz vehicles in stock including C-Class, E-Class, and G-Class models like C 300, E 450, E 400, and GLC 300. We even have Sprinter vans AMG® Mercedes-Benz models. In addition to our new inventory, we also have an extensive inventory of pre-owned vehicles from a variety of manufacturers. We want you to have the options that you need when you are out there shopping for the right pre-owned vehicle. We take the time to inspect every pre-owned model before we put a price tag on it. We want to ensure that you always drive away from Alfano Motorcars Mercedes-Benz in a high-quality vehicle that you can count on. If you want superior quality from your next pre-owned purchase, then you should consider buying one of our Certified Pre-owned Mercedes-Benz models. 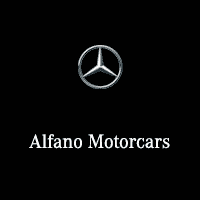 No matter what you choose, we know that you will be happy with an Alfano Motorcars Mercedes-Benz vehicle.